The weather in Portland has taken a crazy turn today! On Sunday, I spent eight hours dodging the sun on the side of a baseball field to stay cool in the 90 plus degree heat. Today, the weather man predicted a high of 80 degrees but it is wildly windy! It suddenly feels like fall- leaves are blowing down the street, flags are snapping in the breeze and the air feels crisp. Even though I love the summer sunshine, I am still excited for the change of seasons. One of the aspects of fall I love the most is diving into all the fresh fall produce. Apples, pears and leafy greens are incredibly tasty but my most favorite fall veggie is squash. 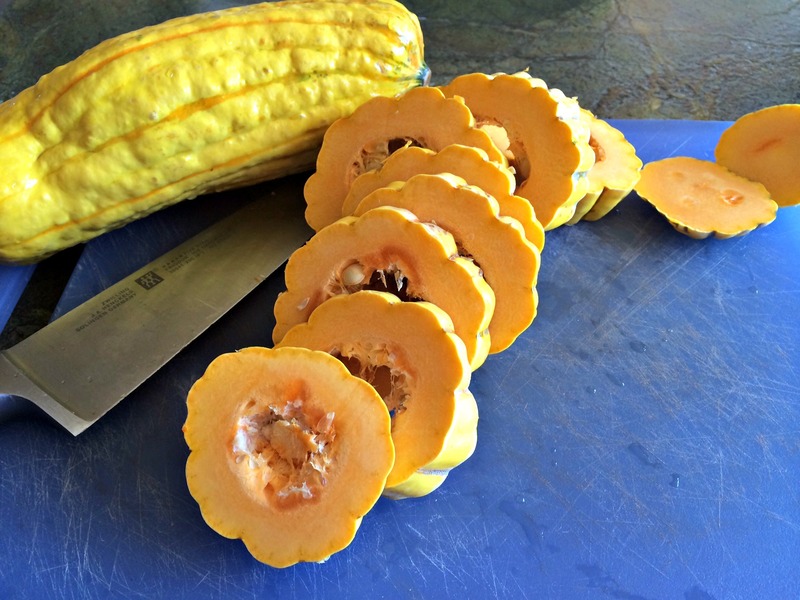 I like all kinds of squash but the absolute best in my book is delicata. It is a perfect size. It doesn’t need to be peeled and it is amazingly tasty! I was ecstatic when it reappeared on the shelf at my local grocery store. Squash before going into the oven. Be sure to scoop out all the seeds before roasting. 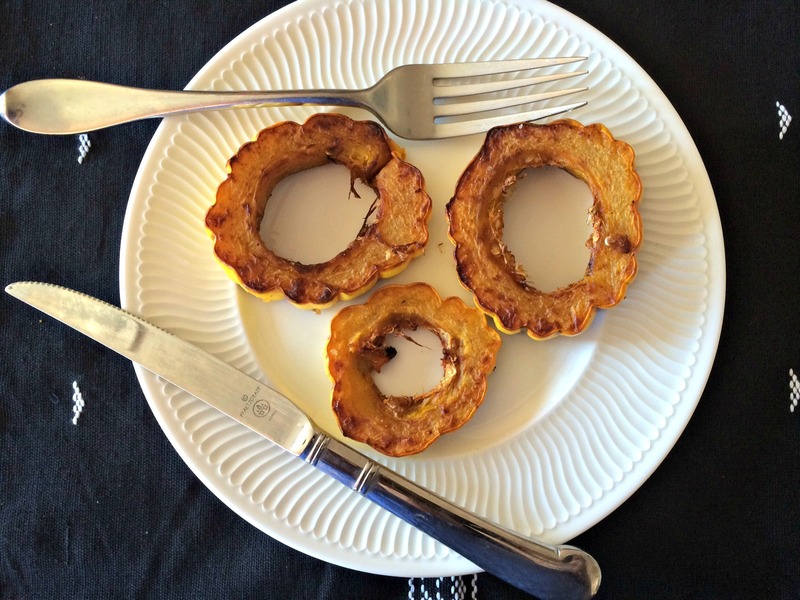 I chose curry as the spice for my squash because I was going to be adding it to a curried soup but delicata is so versatile you could use any spice that appeals to your tastes! I have seen it with lime and chili, sugar and orange juice and cinnamon and ginger. The possibilities are endless! Don’t be afraid to use your imagination. Squash after 40 minutes of roasting. Wash squash well to remove all dirt. Mix olive oil, curry powder and salt in a separate bowl. 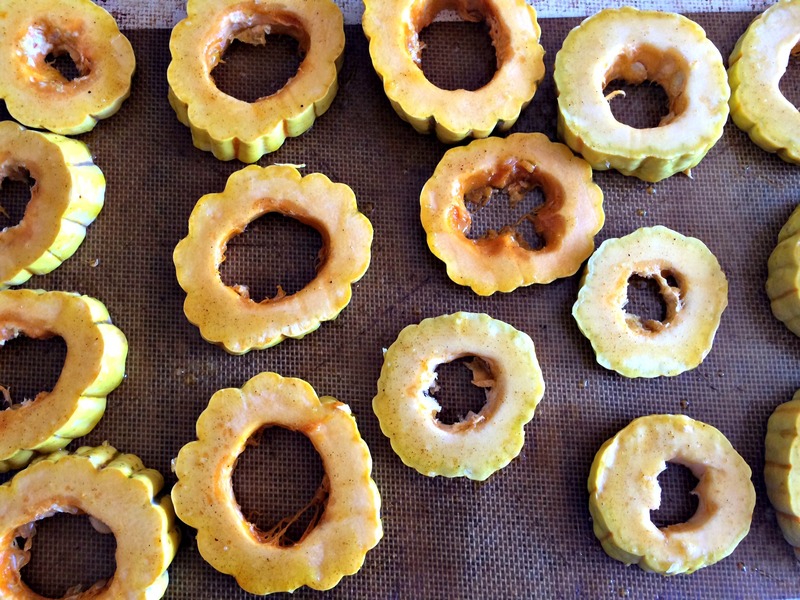 Slice squash in 1/4 inch thick slices. Brush with olive oil mixture. 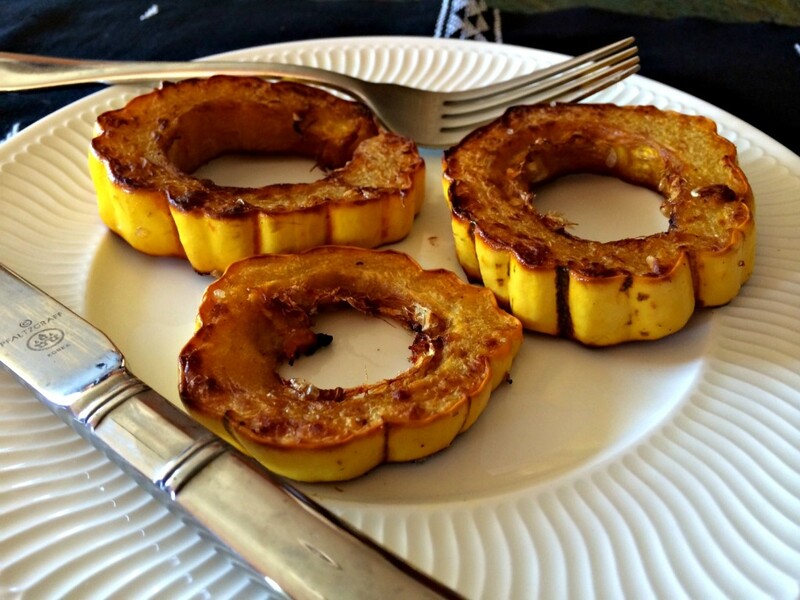 Be sure to get sides of the squash rounds. Place in oven and cook for about 20 minutes. 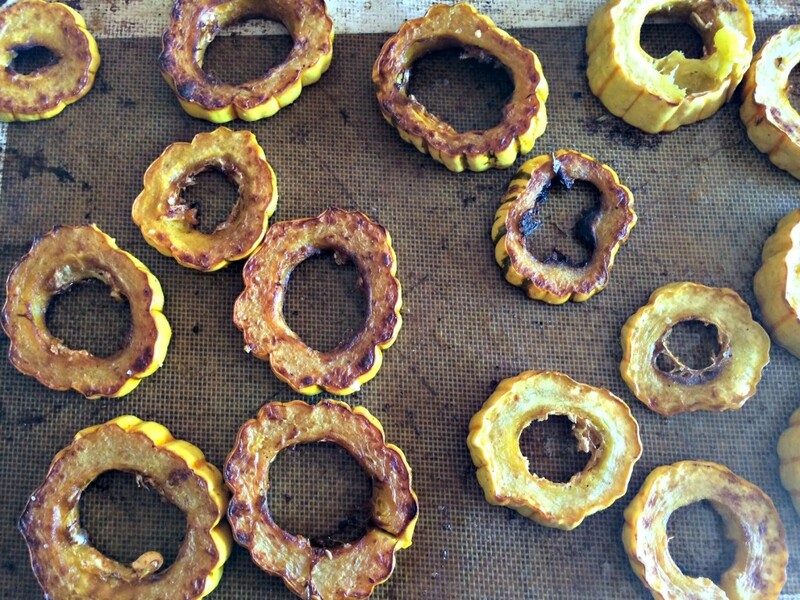 Remove from oven and flip over each squash piece.